Ghost makes an extremely nice pad, especially for the very reasonable price. 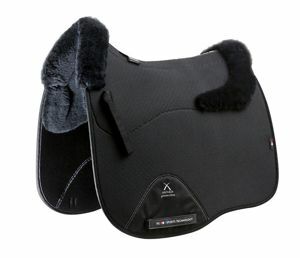 Many people buy these for other saddles including BMSS, Freeform, and even treed saddles. 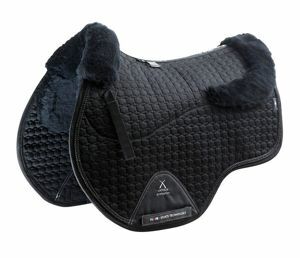 Bottom material options include sympanova (a soft rubber, easy to clean, breathable), black or white wool blend, and an amazing medicinal sheepskin. 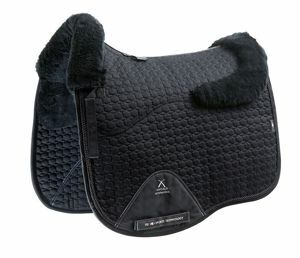 Premier Equine Airteque Shockproof Dressage - Sale!